Here are the more interesting Sears facts and statistics I was able to dig up including sales and revenue numbers and store information. As always, I will be adding more and updating these periodically as I find new stuff. Be sure to check back regularly. Please note that some of these numbers are easier to find than others, so some of these are based on news reports and not official company tallies. All Sears stats are linked to their source unless it was sent to me directly from the company. No stat listed on DMR should be considered in making any type of investment decision. In other words: This is the best I can find, but I don’t guarantee anything. 1893 – Company is renamed to Sears, Roebuck & Company; named after the company’s 2 founders, Richard Warren Sears and Alvah C Roebuck. 1895 – Roebuck sells his share of the company to Chicago businessmen Aaron Nusbaum and Julius Rosenwald. 1906 – Sears, Roebuck and Co. goes public. 1913- The first Kenmore sewing machine is introduced. 1922 – The first Sears department store is built. It is located in Chicago where the company is headquartered. 1933 – The first Sears Wishbook Christmas catalog is published. 1967 – Sears introduces the DieHard battery. 1974 – The massive Sears Tower is build in Chicago. 1989 – Walmart passes Sears as the largest US retailer. 1993 – Sears spins off Discover. 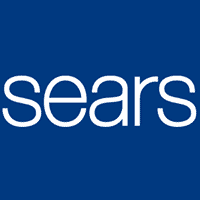 2004 – Kmart purchases Sears and forms Sears Holding Corporation. 2013 – Sears Holding spins off Lands’ End. 2017 – Stanley Black & Decker purchases Craftsman from Sears. 2018 – Sears Holding files for bankruptcy on October 15.